Hulu lowered the price of its newly launched Hulu Plus subscription service Wednesday, just days after the online streaming video service saw its rank decline on a closely watched Internet ranking service for the month of October. 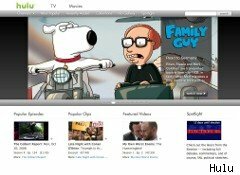 The Hulu Plus subscription service is now $7.99 a month, down from its preview price of $9.99, the company announced. Hulu launched its subscription service in July, touting the current TV programs from ABC, Fox and NBC that could be viewed on computers, TVs, tablets and mobile phones. But last month, Hulu's unique viewer numbers dropped to 29.7 million, causing the Internet TV service to slip to the No. 10 spot on comScore's 2010 U.S. Online Video Rankings, according to comScore's October report released Monday. In September, Hulu stood at No. 9 with 29.9 million unique visitors. That's not the direction Hulu wants to be headed if it's aiming for an initial public offering. Potential investors, especially those who buy shares in IPOs, prefer to hear growth stories from companies eying a public debut. Hulu is reportedly considering filing for an IPO by the end of this year, aiming to raise between $200 million to $300 million, which would give it a valuation of approximately $2 billion. It's unclear whether shaving $2 off the monthly subscription cost for Hulu Plus will do the trick. Hulu, largely a free, ad-supported service that has been around for three years, is looking to attract some of millions of users that have installed its software on more than 50 million devices. With the formal launch of Hulu Plus on Wednesday, customers will find they can watch Internet TV from their Roku or their PlayStation 3. And next week, the company plans to update its Hulu Plus apps for Samsung, PlayStation 3 and Apple's iPad, iPhone, and iPod touch. And in the coming months, Hulu Plus will be available on Net-connected Vizio, LG Electronics and Panasonic Blu-ray players and high-definition TVs; TiVo Premiere DVRs; the Xbox 360; and Western Digital WD TV Live Hub Media Center and WD TV Live Plus Network Media Player. Meanwhile, at some point, Hulu Plus will be available on mobile phones and tablet computers, as well as via set-top boxes and other internet-connected devices. Although Hulu Plus is a relatively new offering, the company notes that the subscription service is already accounting for a "material percentage" of Hulu's overall business -- which means potential Hulu IPO investors will be paying close attention it its success. When Hulu launched the subscription service as a trial this summer, it said that "Hulu Plus is incremental and complementary to the free, ad-supported Hulu." Apparently, things have changed rapidly. Hulu, which is jointly owned by NBC Universal, News Corp. (NWS), The Walt Disney Company (DIS) and Providence Equity Partners, may make a decision this month on whether to file an IPO sometime before the year ends, but that decision will largely be based on whether it gains renewal rights from the networks to continue offering their shows, according to a Reuters report.